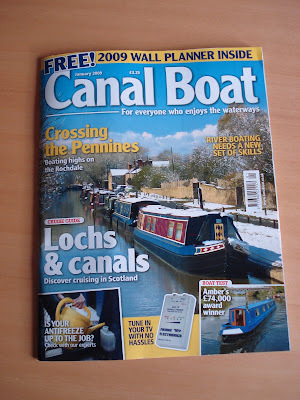 There's a nice Christmassy feel to the front cover of the January issue of Canal Boat, which is out today. Inside is my review of Paris, the Amber Boat which won an award at the IWA. At £74,000, it's by far the cheapest boat I've tested for CB, and I was surprised by how good it was. It's not an aficionado's boat, but for anyone who just wants to get afloat cheaply it's worth a look.